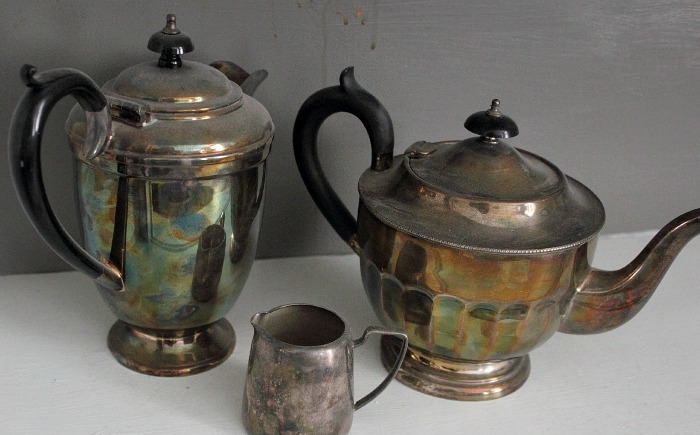 The history of metallurgy in China goes all the way back to the Shang Dynasty (c. 16th century-11th century BC), when the archaeological record indicates ritual use of metal vessels. 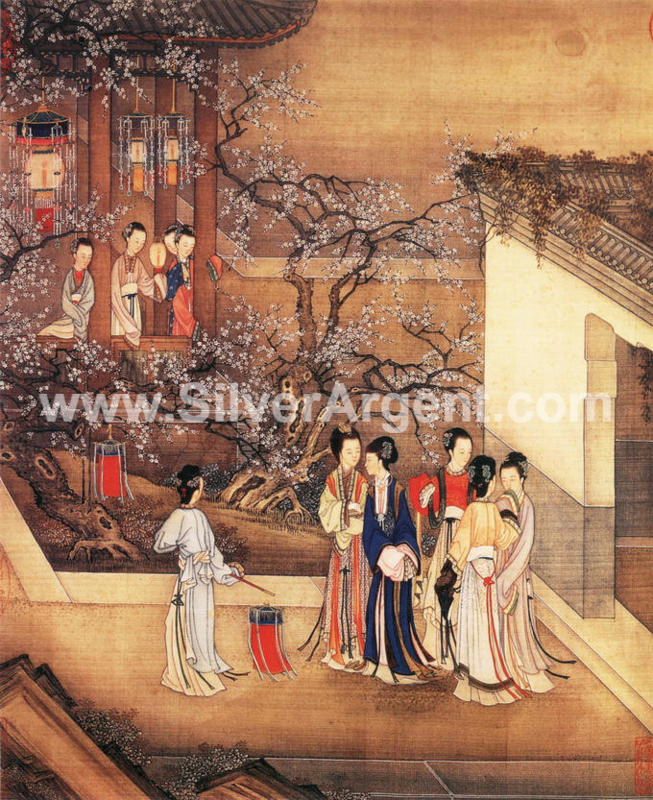 Chinese art has arguably the oldest continuous tradition in the world, and is marked by an unusual degree of continuity within, and consciousness of, that tradition, lacking an equivalent to the Western collapse and gradual recovery of classical styles. 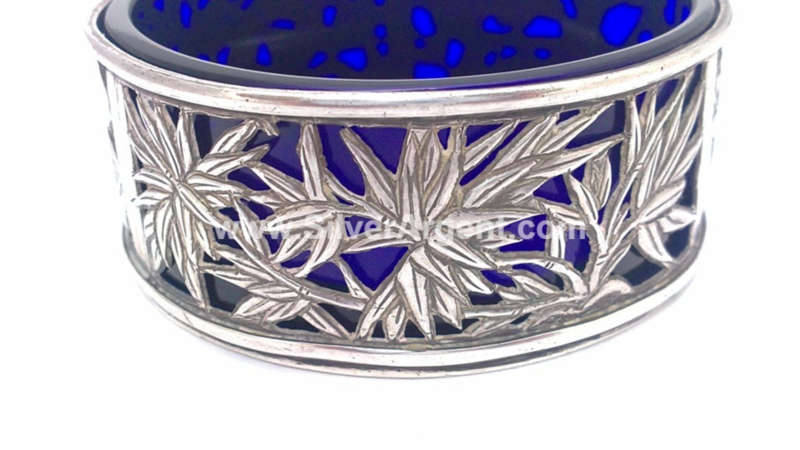 Unlike western motifs or patterns like rose, acorn, berries or grape clusters etc. 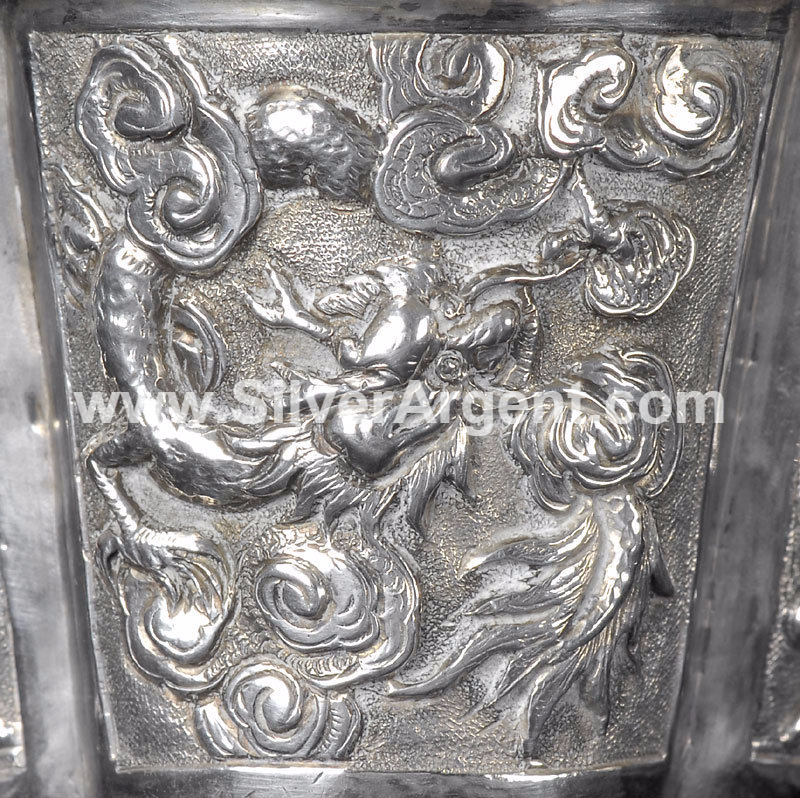 Chinese Silver were mostly decorated with Chinese culture elements. 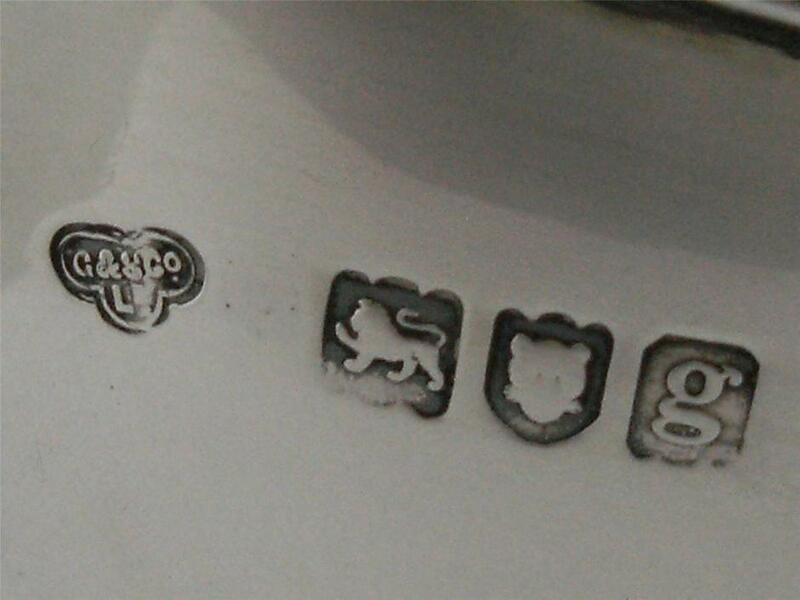 Each patterns has a symbolic meaning in Chinese culture. 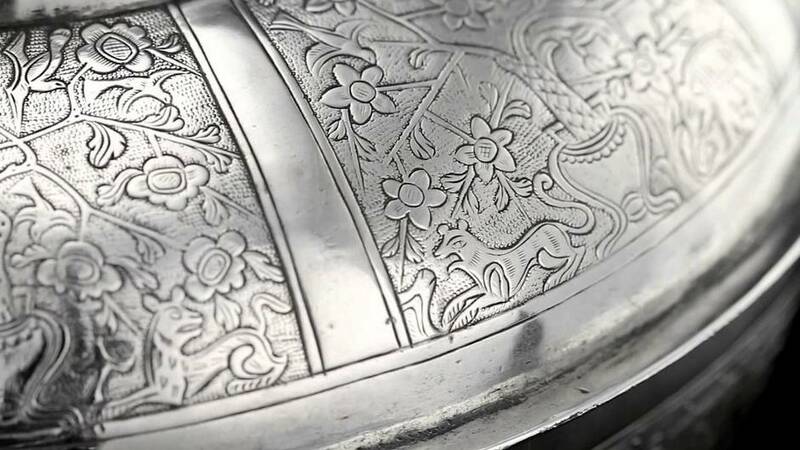 Chinese Export Silver is associated with both Chinese art traditions and Western ideas, revealing how its development and production were affected by the trade routes and cultural exchange. 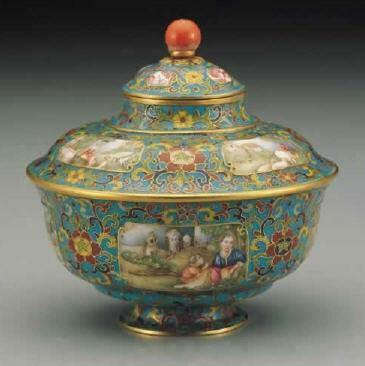 Just as Chinese potters produced porcelain for Western consumers in the eighteenth and nineteenth centuries, Chinese silversmiths also created elaborately-decorated objects for international clients. 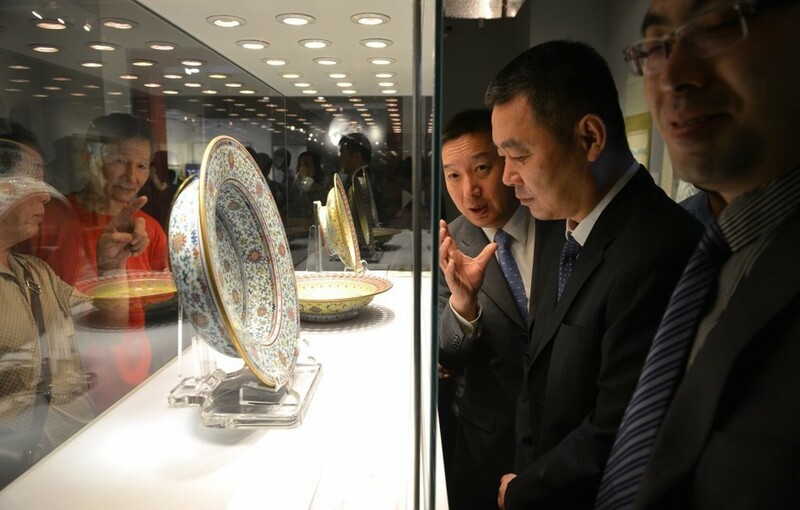 However, in copying the European models, the Chinese artisans managed to add to those objects such Chinese motifs as the dragon and phoenix and scenes of life at the Chinese court. The result is that there was a charming fusion between the East and West. 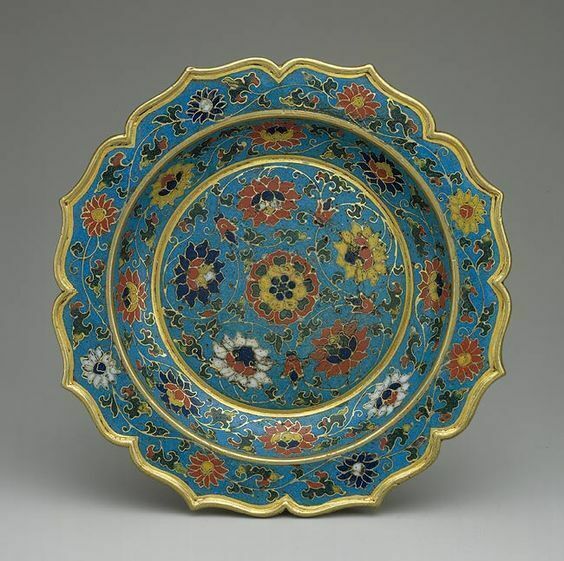 Blending Western forms with Asian decoration including dragons, bamboo, and Chinese landscapes, these fascinating pieces reflect the long-standing cultural and commercial exchange between East and West, and are as enchanting today as in the past. 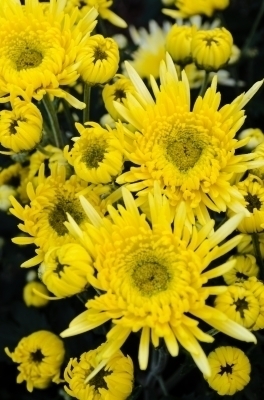 Chrysanthemum was considered to be one of the Four Gentlemen (四君子) flowers. 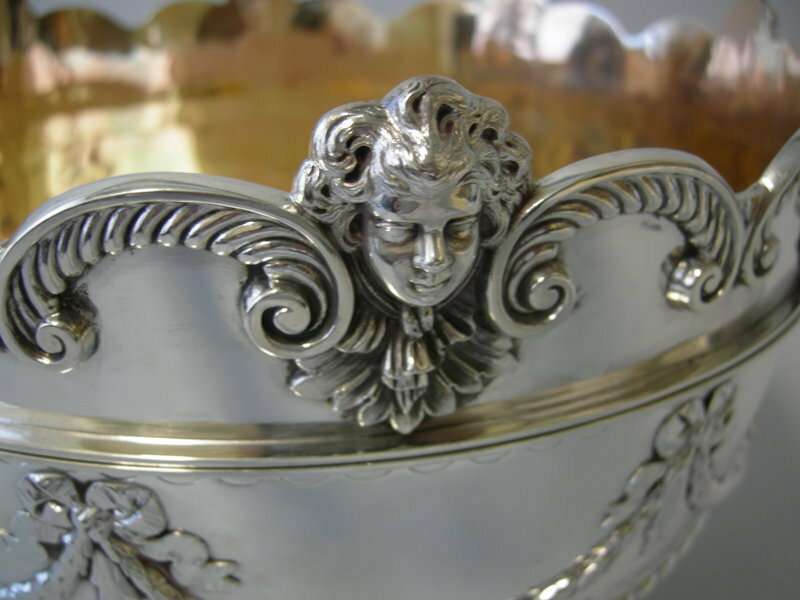 To the Chinese, Chrysanthemum symbolic nobility. 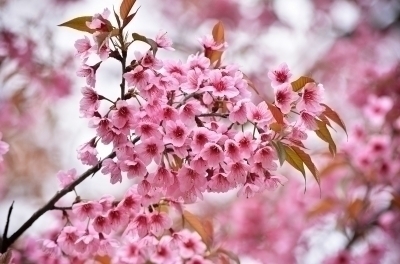 It is also one of the four symbolic seasonal flowers.Many poems and paintings were inspired by them. 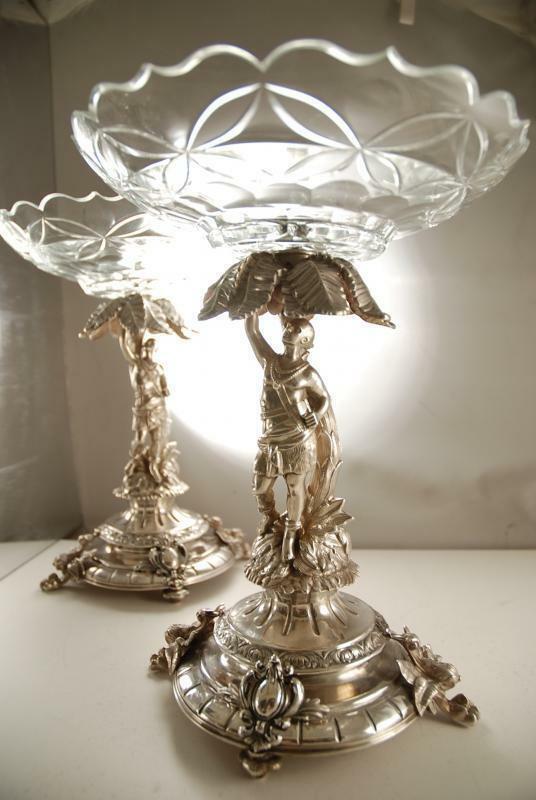 They were often painted together in a painting or as a set of four-piece-art to portray the four seasons. 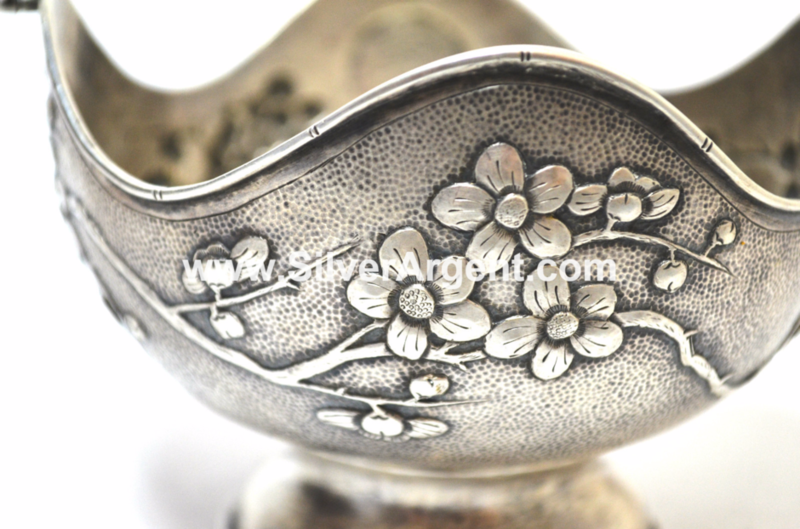 In China, the Plum is widely considered as the symbol of endurance where their flowers bloom in the cold winter. 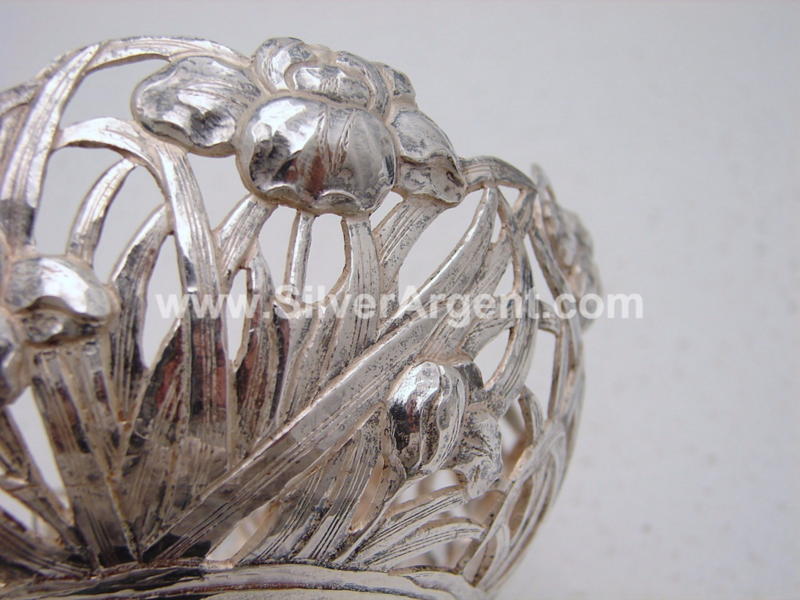 It is commonly associated with as a symbol of EARLY SPRING. 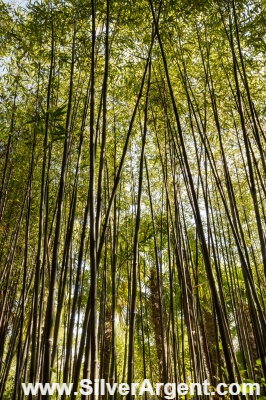 To the Chinese people, bamboo is the symbolization of virtue. 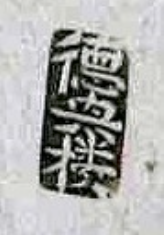 The bamboo played an important part in the daily life of ancient Chinese people, and its role as a writing medium kept the history records and traditional Chinese culture for us to study today.In the order of the Four Gentlemen (the seasons of the year), the bamboo represents the spirit of summer. The bamboo is considered a gentleman with perfect virtues. 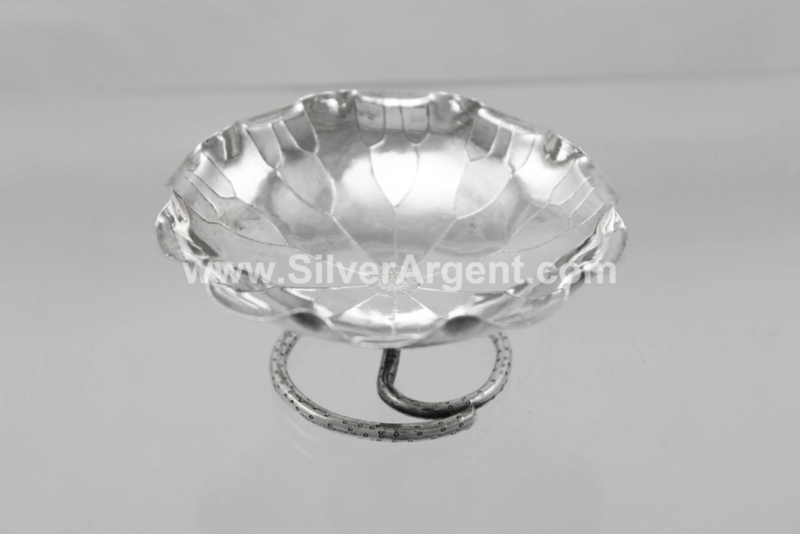 It combines upright integrity with accommodating flexibility; it has the perfect balance of grace and strength. 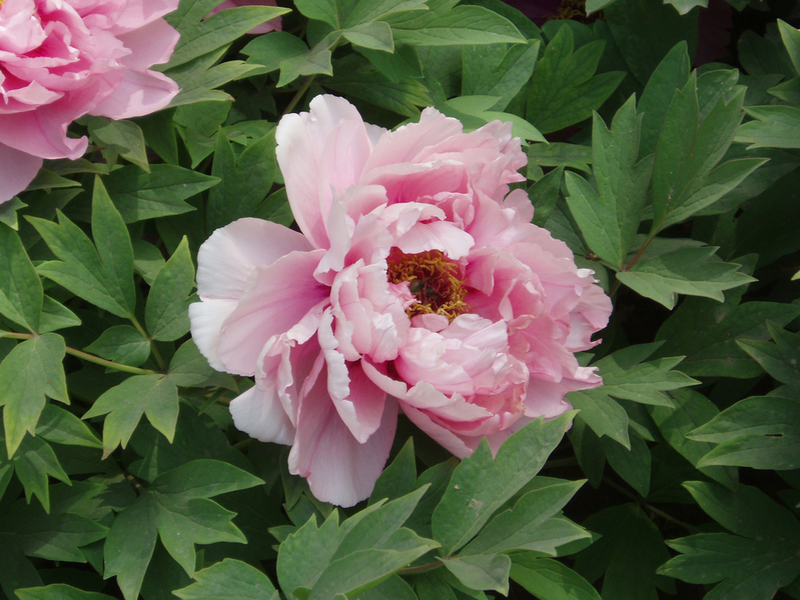 Peony is one of the most significant flower in Chinese culture. Esteemed as one of the most exquisite flowers, the peony is a symbol for nobility and prosperity. The peony became popular in the imperial palaces during the Sui and Tang dynasties, and earned the title of the "king of flowers." Orchid has been particularly favored by Chinese scholars since ancient times, as in Chinese culture it represents integrity, nobility and friendship, all of which are virtues of a perfectly cultured gentleman and scholar. 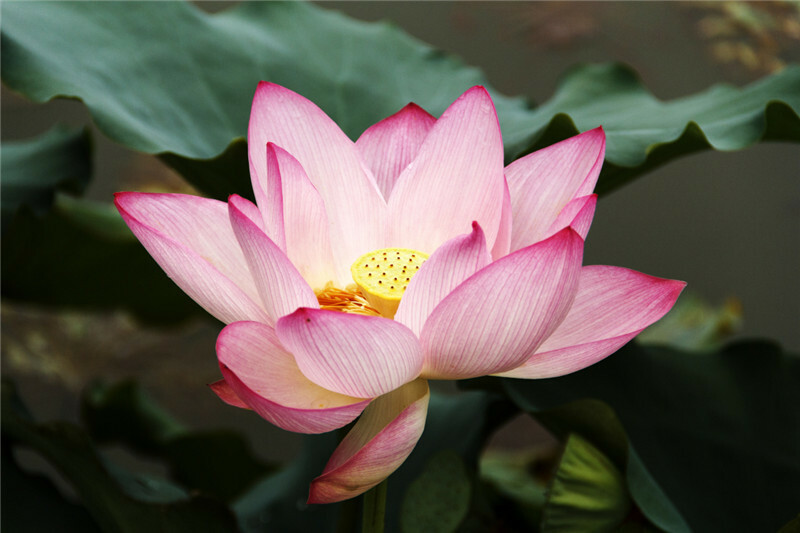 The lotus is one of the most significant flowers in the Chinese culture. Grown in muddy swamps and risen above the surface to bloom with remarkable beauty, the exquisite flower is huge in size, bright in color, fragrant in scent, and extremely adaptive. At night the flower closes and sinks underwater; at dawn it rises and opens again. Untouched by any impurities, the lotus symbolizes purity of the heart and mind and represents long life, humility, honor and tranquility. 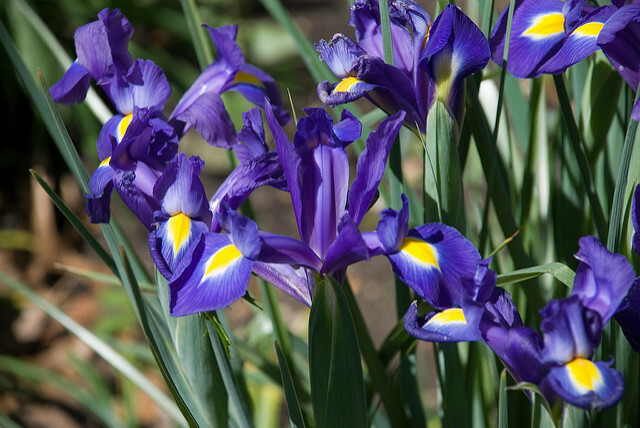 Iris has been recognized as the dancing spirit of early summer. 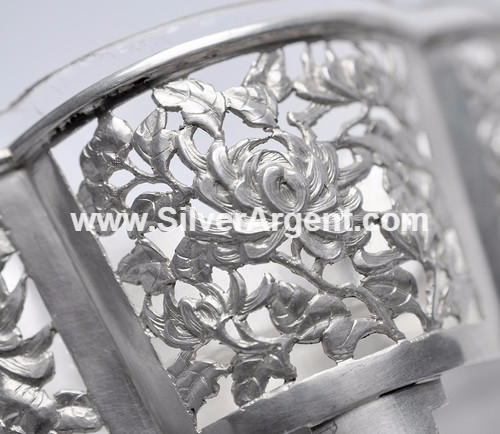 Its soft, fluttering petals remind the Chinese people of butterfly wings, flapping gently in the breeze. The flower is known as Tze Hu-tieh or "The Purple Butterfly." 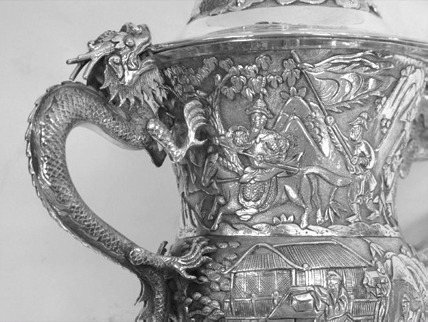 The Chinese have a long held belief that they are descendents of the dragon, a tradition that is firmly embedded in their culture. 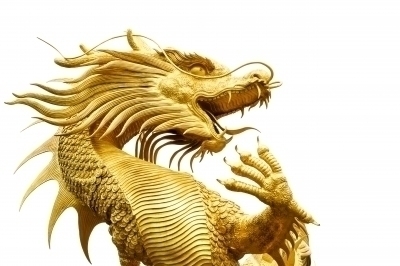 Whereas in western cultures dragons are usually regarded as a symbol of malevolence, in China the dragon is held in high esteem for its dignity and power. 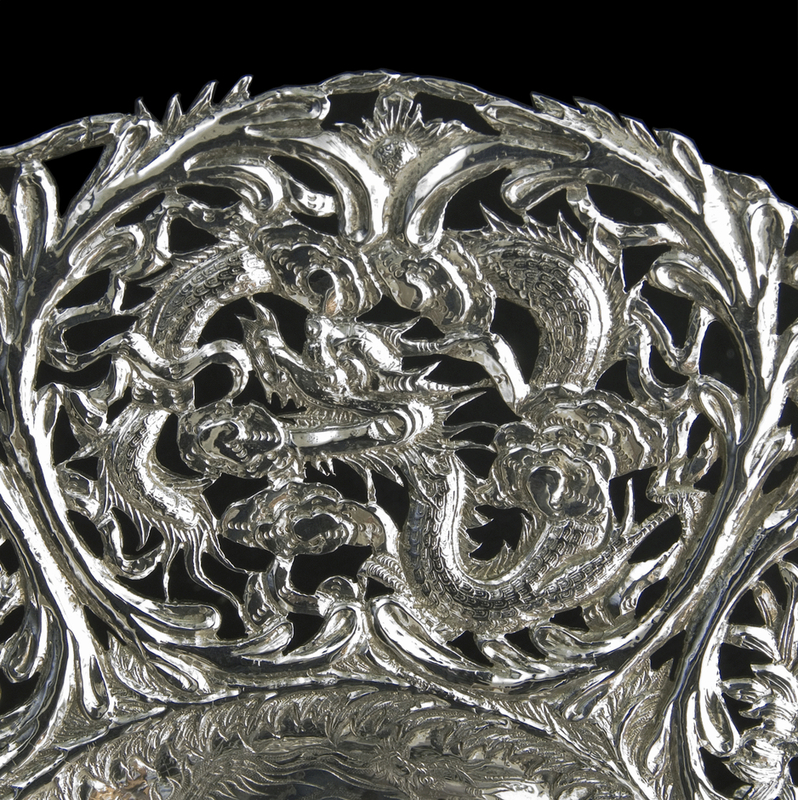 During pre-modern China, ordinary people were prohibited from owning pieces bearing certain themes like the dragon and phoenix.